So you have finally decided to purchase a new desktop computer or a laptop and you need a hand to set it up. This might seem to be an overwhelming and complicated task for you to do on your own. Reboot Computer Repairs Acacia Ridge is always at your service to help you on your every computer service needs. Whether it is physical computer setup or applications and software setup, we are always here to help. Just give us a call at (07) 3155 2002 with no call out fees! We’ll come out to you and setup your new machine on-site, where you want it and how you want it. Reboot Computer Repairs Acacia Ridge is open 7 days a week from 7am up to 10pm and even on holidays. 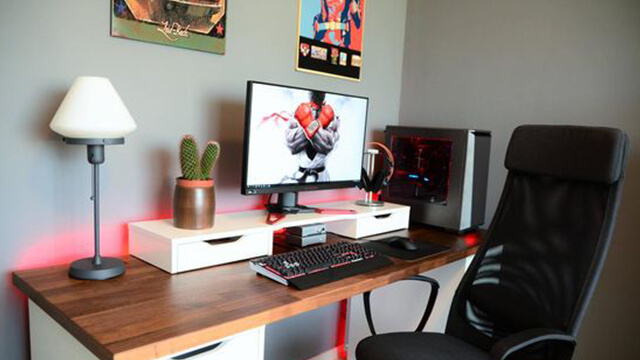 Most of our computer setup only takes 1 to 2 hours to complete and you will be enjoying your new machine the way you want it in no time. Our experts will make sure that your new computer is handled with utmost care during the setup process. Most affordable and efficient computer setup anywhere in Acacia Ridge. Completes the standard setup within 1 to 2 hours. Provide expert information throughout the setup process. We offer support and expert advice in selecting a well ventilated area for your computer with good airflow to prevent your machine from overheating. Expertise in all computer brands both old and new. Complete computer setup including the peripherals that comes along with your machine such as printer, scanner, webcam and speakers. We extend our service not only on the physical setup of your machine but also with the software and application setup that you need before you can use your computer. We always offer a straight forward process and we don’t like to keep you waiting. Reboot Computer Repairs Acacia Ridge will help you start smart. Save yourself from hassles – call us without any call out fee at (07) 3155 2002 and we will setup your computer for you. To know more about our services, you can visit our services section here.